There are several silver ETFs which I believe are worthy of consideration. Use this article as a starting point for researching ETFs involving silver. Many people use silver exchange traded funds for trading purposes only. I am one. The following are popular silver related ETFs at the search engines as I write this article. These ETFs are listed in the order of from most to least number of searches in the search engines. Of all these ETFs, SLV is included in search engine searches most often. As you can tell from the name it is a trust. A silver trust is a type of investment that invests primarily in raw silver assets (physical silver). Typically, each share of a trust represents a certain amount of silver, measured in ounces. The investment seeks to reflect the price of silver owned by the trust less the trust's expenses and liabilities. The fund is intended to constitute a simple and cost-effective means of making an investment similar to an investment in silver. Although the fund is not the exact equivalent of an investment in silver, they provide investors with an alternative that allows a level of participation in the silver market through the securities market. This exchange traded fund is basically a collection of silver mining stocks. It's a great way of getting your feet wet with plenty of diversification in the silver space. As an alternative "safe haven" and precious metal, silver benefits from its attractiveness as an investment asset - serving as a potential hedge against inflation and sovereign currency risk - and also from its many industrial applications. Given the fixed cost nature of the mining industry, silver miners can enjoy a rapid improvement in profitability in a rising price environment, and the reverse is true under a falling price environment. With the Global X Silver Miners ETF, investors have access to a broad range of silver mining companies that all stand to benefit from the potential of rising silver prices. Due to significant barriers to entry in the silver mining industry, existing silver miners have a first-mover advantage – in 2010, the majority of supply increases came from existing mining companies that expanded their operations to meet increased demand. In addition, holding a basket of global silver miners helps reduce single-company risk, contributes geographical diversification to a portfolio and could potentially provide additional income through dividends. This is an inverse, leveraged fund. More specifically, this ETF tries to return double the reverse of the price movement of silver bullion. So, for instance, if silver goes up 1% then this ETF goes approximately down 2% - and visa versa. This Short ProShares ETF seeks a return that is -2x the return of an index or other benchmark (target) for a single day, as measured from one NAV calculation to the next. Due to the compounding of daily returns, ProShares' returns over periods other than one day will likely differ in amount and possibly direction from the target return for the same period. These effects may be more pronounced in funds with larger or inverse multiples and in funds with volatile benchmarks. Investors should monitor their holdings consistent with their strategies, as frequently as daily. For more on correlation, leverage and other risks, please read the prospectus. The investment seeks to provide daily investment results (before fees and expenses) that correspond to twice (200%) the inverse (opposite) of the daily performance of silver bullion as measured by the U.S. Dollar fixing price for delivery in London. The fund invests in any one of or combinations of the financial instruments (swap agreement, futures contracts, forward contracts, option contracts) with respect to the applicable fundâs benchmark to the extent determined appropriate by the Sponsor. This is a leveraged fund. More specifically, this ETF tries to return double the price movement of silver bullion. So, for instance, if silver goes up 1% then this ETF goes approximately up 2% - and visa versa. This Ultra ProShares ETF seeks a return that is 2x the return of an index or other benchmark (target) for a single day, as measured from one NAV calculation to the next. Due to the compounding of daily returns, ProShares' returns over periods other than one day will likely differ in amount and possibly direction from the target return for the same period. These effects may be more pronounced in funds with larger or inverse multiples and in funds with volatile benchmarks. Investors should monitor their holdings consistent with their strategies, as frequently as daily. For more on correlation, leverage and other risks, please read the prospectus. Like iShares Silver Trust above, this is also one of the silver ETFs that invests primarily in physical silver. 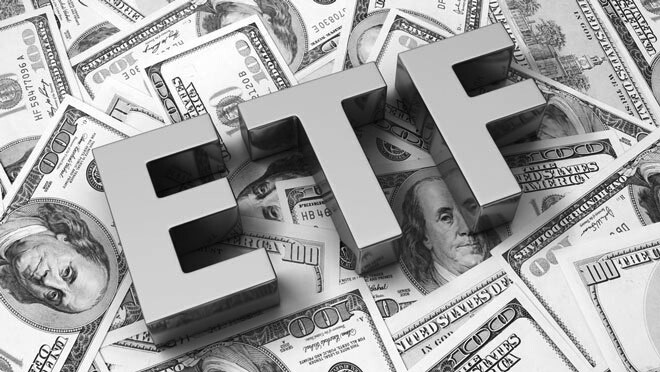 ETFS Physical Silver Shares ("the Shares") are issued by ETFS Silver Trust ("the Trust"). The investment objective of the Trust, symbol SIVR, is for the Shares to reflect the performance of the price of silver less the expenses of the Trust's operations. SIVR is backed by physical allocated silver held by HSBC Bank USA (the custodian). The Shares are designed for investors who want a cost effective and convenient way to invest in silver. The Sprott Physical Silver Trust provides a secure, convenient and exchange-traded investment alternative for investors seeking exposure to physical silver bullion without the inconvenience associated with a direct investment in physical silver bullion.